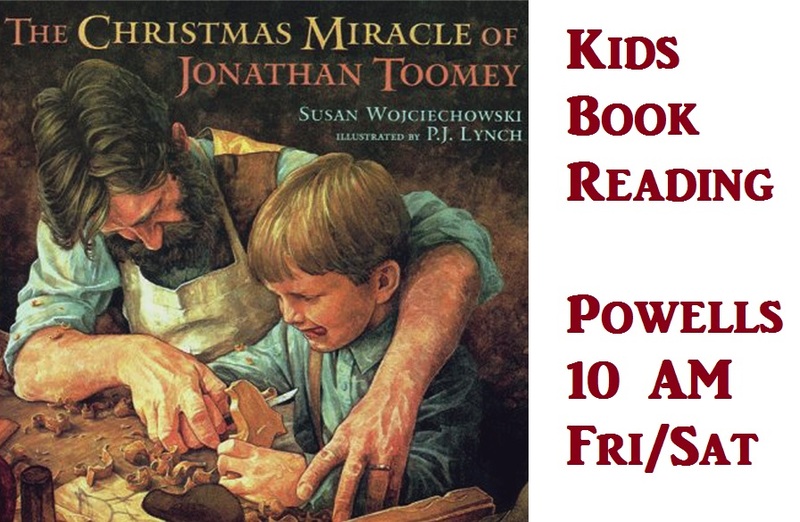 How lucky we are to have our local Provision Theater’s Education Director, Priscilla Hummel, doing a reading of the book The Christmas Miracle of Jonathan Toomey, this Friday 11/16 and Saturday 11/17 at 10 am at Powell’s Bookstore at 1218 S. Halsted. I have heard Priscilla read before and she is absolutely marvelous with the children. She is going to read the book that the play is based on and give a little information about Provision Theater’s upcoming production of The Christmas Miracle of Jonathan Toomey. The critically acclaimed world-premiere production from last season is back by popular demand. Stay tuned to our website as we will be back shortly with more news about this show. Provision Theater is a wonderful neighborhood attraction and also within walking distance at Roosevelt and Morgan. They do have parking too! It shares space in the same building as the Easter Seals Metropolitan Gilchrist-Marchman Child Development Center at 1001 W. Roosevelt. We hope to be able to do a community night event at Provision Theater in the new year!